For more than 20 years, the NH Criminal Defense Attorneys at Tenn And Tenn, P.A. have been defending people with criminal charges in New Hampshire. Our criminal defense lawyers maintain a state-wide practice and travel to almost every Court throughout NH. We frequent Manchester, Hooksett, Goffstown and Merrimack District Courts. Our NH DWI attorneys and criminal defense lawyers routinely handle Drunk Driving Charges (DWI, DUI or OUI), possession of alcohol, drug charges, assaults, thefts, and other offenses in the many different district courts including the Manchester District Court, Hooksett District Court, Goffstown District Court and the Merrimack District Court. The above NH District Courts retain jurisdiction over criminal matters from local towns which include: Manchester, Allenstown, Pembroke, Hooksett, Goffstown, Weare, New Boston, Francestown, Merrimack, Litchfield and Bedford, NH. If you need assistance with a NH DWI or criminal charge, or have been charged in any of the towns listed above or while traveling on Interstate 95, Route 101 or NH Route 3, our Criminal Lawyers are here to help. 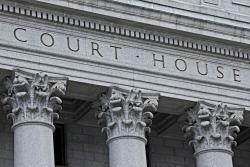 These District Courts are just a short drive from our law office. Protect your Constitutional and legal rights by connecting with criminal lawyers who have the track record, high ethical standards, and knowledge of the law you need to get your life back on track and put your arrest behind you. Tenn And Tenn, P.A. maintains a statewide criminal defense practice and represents individuals in all NH Courts including: Brentwood District Court, Candia District Court, Claremont District Court, Concord District Court, Conway District Court, Derry District Court, Dover District Court, Goffstown District Court, Hillsborough District Court, Hooksett District Court, Jaffrey District Court, Keene District Court, Laconia District Court, Lebanon District Court, Manchester District Court, Merrimack District Court, Milford District Court, Nashua District Court, Newport District Court, Ossipee District Court, Plaistow District Court, Plymouth District Court, Portsmouth District Court, Rochester District Court, Salem District Court and Seabrook District Court.